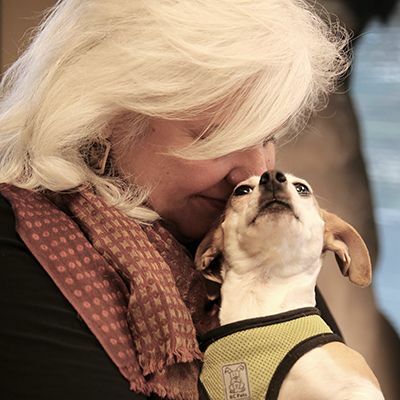 Pleasanton, CA, May 5, 2016 - Maddie's Fund®, a California-based national family foundation, today announced its investment of $2 Million in Shelterluv, a company focused on software for the next generation of animal rescues and shelters. "We believe with this investment, Shelterluv will be poised to change the landscape of animal welfare operations," says Mike Duffield, Maddie's Fund Board Member, "by providing the first rescue software system built not only to improve rescue operations, but with an emphasis on adoption not seen before." Lars Rabbe, Maddie's Fund Chief Information Officer, says, "Animal rescue organizations will now have access to a world-class operations management system designed especially for them. With the availability to understand your own data easily, and exchange data with other systems freely in whichever form, the lines of communication will be opened to encourage growth and communication with shelters and foster networks." "Animal rescue organizations face some of the industry's most complex IT challenges: distributed operations, intake and adoptions done in the field, large networks of fosters and volunteers, and very tight budgets," says Greg Lucas, Shelterluv Founder and President. Shelterluv was designed with these people in mind. Thanks to Maddie, we will be able to help even more of these organizations that are so vital to our race to save all our nation's companion animals." "Shelterluv's focus on adoptions and data driven decision-making will help animal welfare organizations to better manage their operations and save more animals," says Amy Zeifang, Executive Board Chair, Maddie's Fund. "Maddie's Fund is proud to partner with the Shelterluv team to scale their operation and offer a premier system whose sole purpose is to save more animals' lives." Maddie's Fund® is a family foundation founded in 1994 by Workday co-founder Dave Duffield and his wife, Cheryl, who have endowed the Foundation with more than $300 million. Since then, they have awarded more than $172 million in grants toward increased community lifesaving, shelter medicine education, and pet adoptions across the U.S. The Duffields named Maddie's Fund after their Miniature Schnauzer Maddie, who always made them laugh and gave them comfort. Maddie was with Dave and Cheryl from 1987 - 1997 and continues to inspire them today.